Disney says it will no longer be sponsored by junk food. 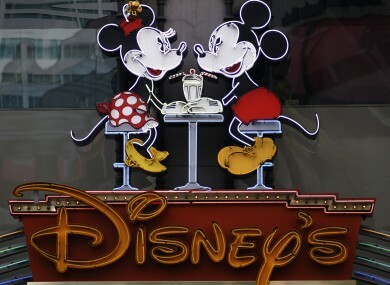 Disney to banish junk food ads from TV stations and websites intended for children. THE WALT DISNEY COMPANY announced today that in an aim to promote nutrition they only plan to advertise healthy foods on its TV channels, radio station and website. The New York Times reports that advertisers will have to meet a strict new set of advertising standards if they are to be featured on any of Disney’s media platforms. The initiative comes just days after New York City announced its plan to ban the sale of large sodas and sugary drinks. The new rules will see many foods, such as pre-packaged lunches, fruit drinks and cakes not making the cut. Products like Capri Sun drinks and Kraft Lunchables meals — both current Disney advertisers — will no longer be acceptable product, the New York Times reports. TheStar.com says that company is already working with major food companies to reformulate products so they can be advertised during children’s programming. The guidelines won’t go into effect until 2015 because of existing advertising agreements. First Lady Michelle Obama called the announcement a “game changer” according to the Boston Herald, adding that she said Disney is doing what no major media company has ever done before in the US. Email “Disney bans junk food ads on kids' TV shows”. Feedback on “Disney bans junk food ads on kids' TV shows”.